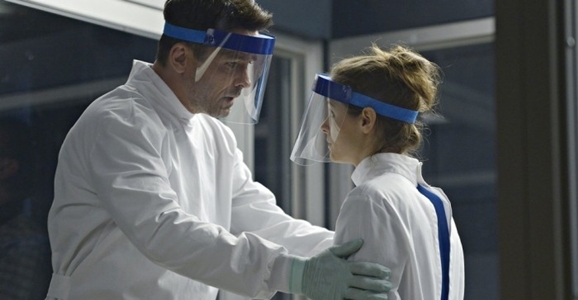 Helix Post-Game: Is Anything On This Show Supposed To Make Sense Anymore? 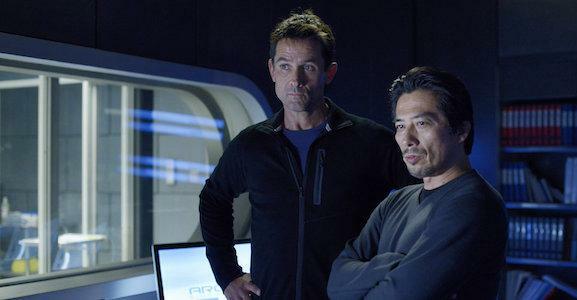 We’re five episodes in, and I think it’s safe to stamp Helix as a pretty bad show, though it’s one that remains watchable as popcorn television. As in, I could replace my eyes with popcorn and still get the same amount of enjoyment from this deeply flawed television program. Like many of the god awful movies that Syfy puts out, Helix is filled with thinly designed characters whose only motivations seem to be making the audience laugh at their poor decisions. But unlike a Syfy Original movie, I’m actually invested in the story and the mystery. For every six groans, there is one genuine “Wow” that gets me temporarily excited. In “The White Room,” where some of last week’s ever-present secrets start to reveal themselves, the siss-bang-boom scene involves Hatake’s Second Banana raising a bunch of preserved human heads from the snowy terrain outside the Biosystems lab. You’d have thought someone could have built another secret room inside the facility, but these heads are apparently super special. The main gloomy looking head they’re after belongs to a Dr. Hvit, whom the devious “Blood In, Blood Out” Major was tasked with retrieving before he’d be allowed to leave the base. I’m going to have to acclimate to the fact that Helix is a series intent on using every played out trick in the book to weave its mysteries. This is a research lab where the only thing most of the main characters do besides battle diseased vectors is talk to each other. With that in mind, CDC hero Alan is the only person who actually talks to people with anything that resembles genuine honesty. But he’s clueless about everything, because nobody else in that damned place will have a straight conversation. Everybody is hiding something. That makes for frustrating viewing, knowing that a five-minute conversation could fix 75% of the side drama and allow everyone to work together to either find a cure or get the hell out of there. 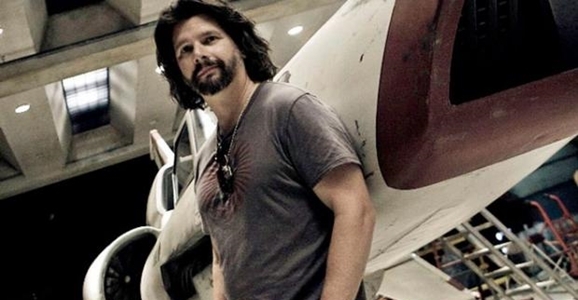 Friday night is often a dead zone when it comes to finding good TV, but thankfully Ron Moore’s Helix has given our DVRs something productive to do with the first night of the weekend. The fourth episode of the show’s initial 13 episode run premieres tonight on Syfy, and you can bet things are only going to get worse up there in the Arctic. Never mess around with creepy black fluids, man. Mulder and Scully could have told you that. Alan and the team deal with secrets and suspicion as the crisis heightens and deadly consequences follow. 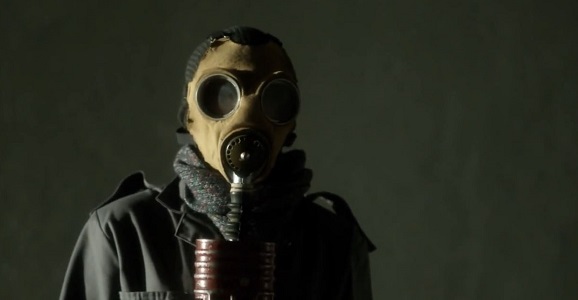 Meanwhile, Walker tries to survive on Level R.
Last Friday, Syfy premiered the outbreak thriller Helix in a double-dose of black blood and genetically modified monkeys. In some ways, it was the best original output Syfy has given audiences in years, and in other ways it was par for the over-the-top course. (Read my lovingly detailed thoughts about the premiere here.) Given a lot of the footage seen in the series’ marketing campaign came from these first episodes, Syfy has now put out a “Super Trailer” featuring events from the rest of this first season. And in it we get a good look at Star Trek Jeri Ryan, star of Voyager, who plays a woman named Constance Sutton.